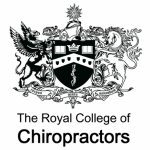 The Royal College of Chiropractors awards annual bursaries, worth up to £660 each, to enable members to register for Masters-level modules in Research Methods or Evidence-based Practice at little or no cost to themselves. The call for applications for the 2018/19 membership year is now open. The application form and rules are available here. Please email admin@rcc-uk.org or telephone 0118 946 9727 with any queries.